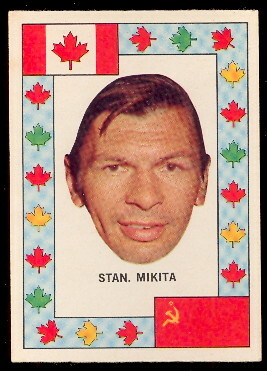 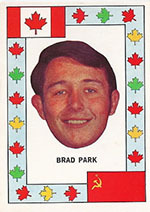 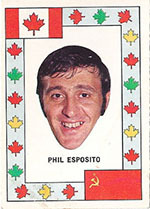 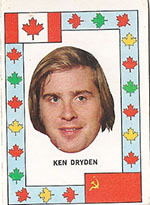 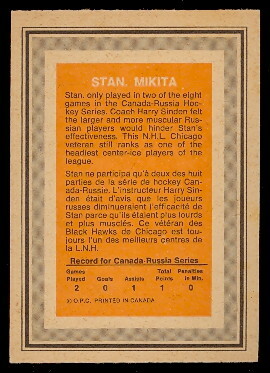 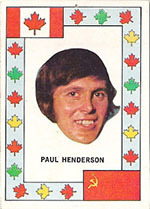 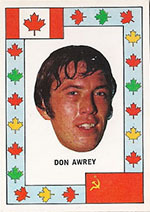 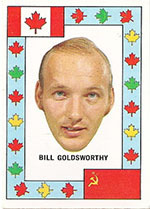 This 28 card standard size insert set was issued of Team Canada players who represented Canada in the 1972 against Team Russia. 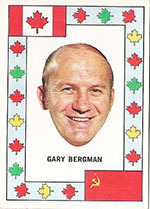 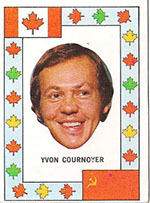 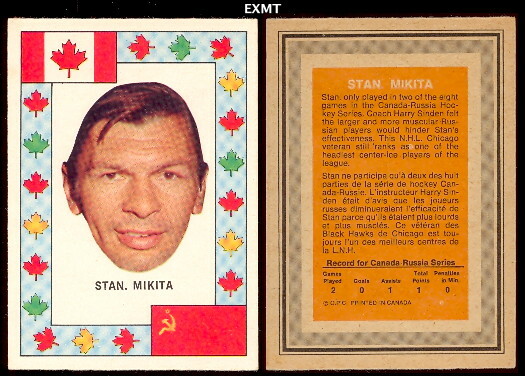 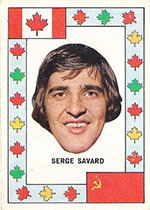 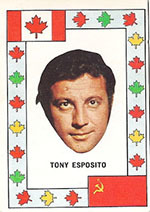 They are attractive cards with just the players head surrounded by a border of Canadian Maple Leaves with a Canadian and Russian flag in the corners. 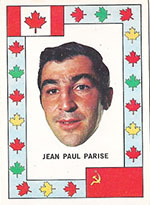 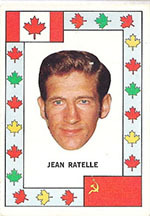 The set was issued as an insert with the second series of the 1972 O-Pee-Chee set and have information about the player on the back in French and English.